which I attended from 1944 to 1952. 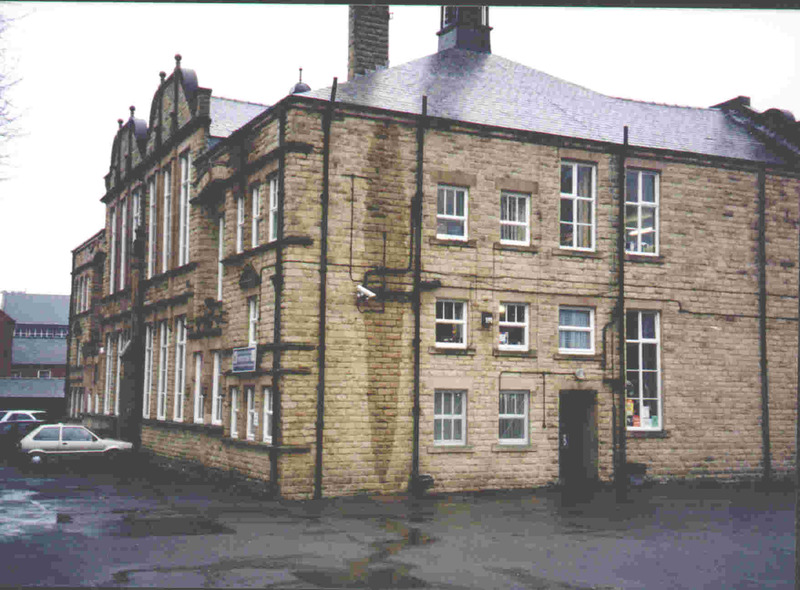 A class photo of year 195- appears below. Back row, left to right- Malcolm Bosworth, Keith Horsefield, Barry Moseley, Roy Milner. Tony Jackson, Roy Wales, John Evans, Billy Quick, Tony Oakley, Keith Buckley. Centre row, left to right- Janice Binns, Alan Biggin, Frank xxxxx, Martin Shipley, Alan Copley, Terry Furnace, Roger Mathews, Raymond Firth, Trevor Dungworth, Reginald Beckwith, Georgie Crearer, Barry Clark, Keith Pettinger, Valerie Hobson. Front row, left to right- June Wyatt, Pat Bisset, Barbara Webster, Janet Gabbitas, Gwennie Hoyland, Ann Ludlam, Gloria Lowkes, Norma Day, Pat Hibbert, Betty Allan, Joyce Howarth, Judy Gough, and Barbara Lazenby. Missing from the photo are:- Barbara Burns, Graham Godwin, Jean Marshall and Michael Khan. 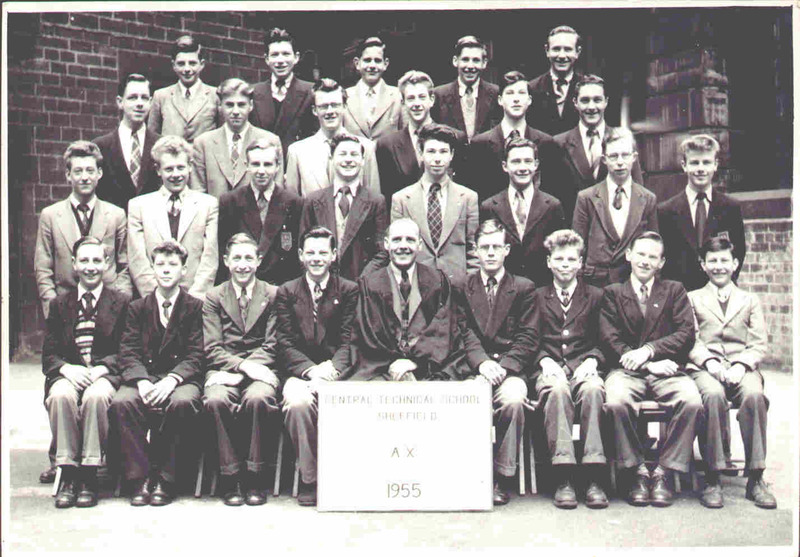 In 1952 I continued my education at the Sheffield Central Technical School on West St.
A class photo from 1955 appears below.